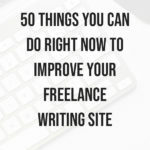 The thought of trying to improve your freelance writing site might seem daunting…especially if you’ve had your website for a while. Going back through all those posts? 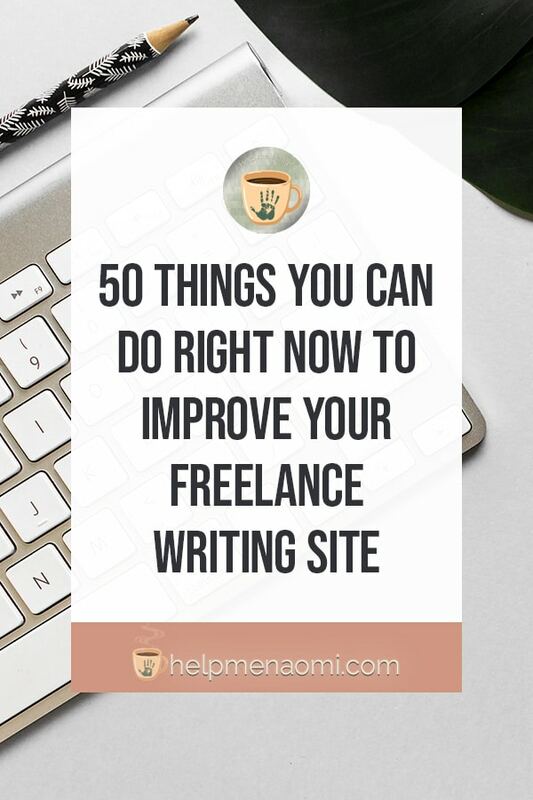 But, it’s a necessary step — especially if you want your freelance writing site to work and attract new clients. When I first started freelance writing, my site was nonexistent. I relied on sites like UPWork (oDesk at the time) and Elance to help me find clients. When I did finally get around to building a site, I built it on Blogger. And it was a mess. Part of the reason it was a mess was because I had no strategy — no purpose for the site. I knew I needed one, but I didn’t know exactly how it would help me and I didn’t know the best way to go about setting it up so that it would help me. As a result, what I ended up with was a hot mess of what can only be described as whiny, venting, journal entries and a few character descriptions. Nothing that told clients why they should hire me to ghostwrite their blogs or their books. So you can imagine just how well that website worked for me. It took me a while and still several other mistakes before I got my act together to build a site that would actually work for me. But once I got the hang of it (and started getting rid of almost everything else), a lot of things started falling into place. Are you enjoying this post? Take a minute to pin it!! You never know when you’ll need to come back and check out these tips. What did I do? Well, I’m glad you asked. Here’s a list of several things I did to help improve this site (along with several things I am still in the process of doing). Most of these tasks are really easy, simple tasks that should only take you a couple of minutes to get through. Some of them will be a little more involved and make take up a bit more time. But ultimately, as you start crossing these tasks off your list, you’ll notice a huge improvement in your site and in your pocketbook! Check your photo! Nothing beats a photo of your smiling face. Sure, logos are nice, but somewhere on your site should be a photo of you so people can connect your words to your face. Add a blog. 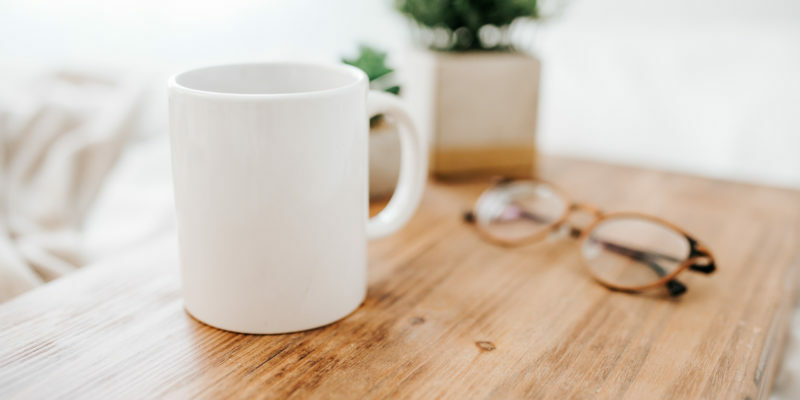 Blogs are the ideal way to help keep your website fresh and updated — which is good for your clients, prospective clients, and Google. Check that your website is responsive — meaning that your website will resize and look good on any type of device. I am one of the relics still checking the Internet via my desktop computer more often than not — but a growing number of people are checking and reading things on tablets and smartphones. If your site loads weirdly or hide pieces, they won’t stick around for long. Niche down. Finding a niche takes a while, I know. But once you’ve got it, it’s time to display it proudly on your site so people know immediately where your expertise is and how you can help them. Go through your copy and add white space. White space helps break up those large chunks of text and make them easier to read. Make sure you are leveraging it to give your readers’ eyes a break! Make sure your educating, not just selling. Even if they’re looking to buy, people aren’t looking to be sold to. Don’t be pushy in your sales language. Instead, try to share information that your potential clients would find valuable. Check your menus! Not only do you want to fix and broken links that may come up as you run your updates, but you also want to make sure people can navigate your site. Can they find things pretty easy? People don’t want to have to work just to read your site. Revamp and edit your meta descriptions. Make sure they are up-to-date, relevant, include your keywords, and are compelling people to check out your site! As search engines continue to grow more sophisticated, so should your meta descriptions. Make sure your calls to action stand out. It’s not enough to have a link at the bottom of a post — that link needs to stand out. Make sure you are using buttons and colors to help draw attention to your call to action. Never. Stop. Testing. Everything in marketing is testing — aways. A headline that drew in a lot of traffic in 2010 may not pull in as much in 2013. Test everything and make adjustments and improvements as you go to stay relevant. Don’t try to use complicated words. When in doubt, always choose clarity over cleverness. Using complicated, pretentious words doesn’t make you appear smarter or hireable — it makes it hard for potential clients to follow or like you. Don’t go stuffing your copy full of keywords. Really, really don’t. You want to make sure you are using your keywords naturally, the way you would be talking to a friend. Keyword stuffing never results in good writing. Anyone who understands SEO will know what you’re doing and will walk away, and anyone who doesn’t know SEO will think you’re a bad writer (not exactly what you’re hoping they think of you). Get a domain! This is especially important if you’re using a free service to build your website or blog — buy a branded domain name (they don’t cost a lot, less than $10 most of the time!) and point it to your site. This will make it easier for people to find and remember you. Pay special attention to the area of your site that is “above the fold.” Anything a client can see before having to scroll is what we call “above the fold” and this is some of the most important real estate on your site. Put your strongest call to action there. Make it easy for people to share your content. Even if it’s really good content, people aren’t going to share it if they have to work too hard to do so. Use a social sharing plugin like Social Warfare to make it super easy to share or tweet your posts. Don’t just write-it-and-forget-it. Go back in and edit, revamp, update, and improve your past posts (I can almost guarantee you this one has been revamped at least 10 times). This keeps them relevant and performing well as the years go by. Be. Authentic. Don’t write the way you think potential clients want to see you write — be yourself! The best way to attract your ideal client is to act like their ideal writer. And believe me, they don’t want to hire someone who’s fake. Use WordPress for your site. Yes, I know there is a learning curve when it comes to building a site on WordPress versus some of the other services out there. But the ability to customize and monetize a site using WordPress is much better and easier than on other platforms. Speaking of WordPress — learn about some of the most helpful plugins to keep your site smooth and SEO friendly. Plugins like Rank Math SEO, Tasty Pins, and Easy Digital Downloads will help help your site stay powerful, fast, and easy to scale and grow. Check your on-site search data. When people search your site for something, it’s because they think you have that specific answer. Either they think they saw it on your site before, or something they just read on your site reminded them to look for it. If you don’t have it on your site, write it. If you do have it on your site, make sure it’s easy for them to find (because if they had to search for it, then it wasn’t all that easy for them to find). Make it easy for people to contact you. Once again, potential clients don’t want to have to work just to hire you or ask you a question — so make it easy on them. Place your contact information on your site, and make it easy to find and easy to use. But don’t use a “mailto:” link. This is my one exception to making things easy — stay away from creating those mailto: links. Instead, opt for a simple contact form or just list the email address. It’s annoying to click on the mailto: links and instead of heading over to GMail it starts opening up other apps that I don’t really use and haven’t set up. Pay attention when clients are asking you questions. If a client is asking you a question, then chances are someone else is asking Google that same question. Can you turn it into a blog post? Add it to your FAQ? If it’s something that can go onto your site, add it. Don’t leave out the personality. Sometimes we get so caught up in trying to be “professional” that we forget to be personable — which is far more important. Tell your anecdotes, share your funny photos, craft your puns. Professional doesn’t need to be robotic. Use a popup to grab your readers’ attention. You can use a service like hellobar to create a nice popup for your optins, specials, or lead magnets without slapping your visitors over the head with it (and it’s free). Make sure your images look good. You can get some really amazing, high quality photos from sites like Unsplash and Pixabay. You can also look into purchasing some stock images from sites like Creative Market. In fact, if you look around a bit, you’ll probably be able to find the images I bought off of Creative Market to use on this site. Speaking of photos and graphics, don’t forget to keep them consistent. You don’t want to keep using the exact same photos over and over again — that will get boring. But you do want to keep the overall look and feel of your graphic elements consistent throughout your site. Sign up for a push notification service to bring people back to your site. Want to send out a notice whenever you publish a new blog post or special? Subscribers is free and super easy to install and use. Always think about what you want your readers to do next. When you start adding in too many calls to action, you risk losing them. Use good design and formatting, such as bold lettering and headlines, to draw your reader’s attention to those areas. Whether it be a statistic, the “fine print,” or your call to action, creative use of typography and colors can help make sure your readers see it. Remember to write for the speed reader. Despite the label, “readers” don’t do a whole lot of reading — they actually scan and skim more than read. So try to make sure you’re writing in a way that makes it easy to read on the fly (ie., bold phrases, headings, short paragraphs, and bulleted lists). Worry about getting it written first. Whether you’re trying to write out a blog post, an about me page, or your contact form, don’t agonize over it trying to get it perfect. Get it written. You can always go back and fix something later. Anytime you add a new page to your site, think about the answer to this question and make sure to reflect that answer in your new content. Don’t just write the same old things. Google and other search engines already have plenty of content to make their users happy. They don’t need more content, especially if it’s fluff. So if you’re going to write something that’s been done before, make sure you do it better and add new value. Check out the experts and see what they’re doing! Go to other writing sites and see what works, what you like, what you hate, etc. Find inspiration and see what aspects of their site might help you improve yours (without copying or plagiarizing, of course). Learn what your readers are doing on your site. What are they reading, where are they clicking, how are they using your site? You can sign up for a free account with HotJar and track movements on your site. Keep your forms easy to use. Back to the same concept that clients don’t want to have to work to hire or talk to you — make sure your forms are easy to fill out. You don’t need to ask them everything on your site. Just get the basics and then followup to get the rest. Check your headlines. CoSchedule has a Headline Analyzer that you can use for free. Remember why potential clients are at your site. They don’t want to read about how fast you can type or how well you can string words together in a sentence. They want to know how hiring you will change their life — or their business — for the better. Be sure to tell them. If you don’t want to add a blog, be sure to add a portfolio. Take some time to write up various samples that you can add to your portfolio and display them on your site to help give potential clients an idea of your talent. Network, network, network. The easiest way to start being seen as an expert is to be seen with experts. So get them onto your site: interviews, guest posts, excerpts, quotes and links back to their site. Speaking of networking, don’t be a creep. Bring experts on writers onto your site because they will provide value to your readers. Be their friends, and be genuine. Don’t use them or poach their readers. Networking is all about relationships within your industry — not finding ways to use or stomp on people. Write a mission statement. And make it a good one. This is the best place to stand out from other freelance writers who all offer the same services and expertise. Don’t forget to proofread!! Even your past posts that you’ve already edited. Those typos have a way of sneaking through even sniper-like editing reflexes. So make sure you catch them!! Go back and read some of your old content. You may find that you can add more details, or that your viewpoint has changed, or it may even spark some new content that you can add. Check out new website plugins and features. 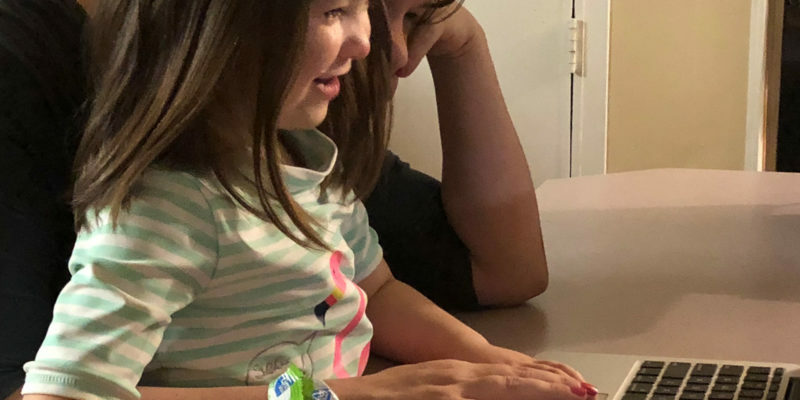 Web developers are always looking to improve your experience with your website — so check out some of the things they’ve done! Better SEO plugins? Ways to add in a table of contents? Better image handling? Contact forms? Security? Making these regular checks will help keep your site running strong and safe for your visitors. Last but not least, pay attention to the people who are paying attention to you. If someone takes the time to leave you a comment, respond to them! 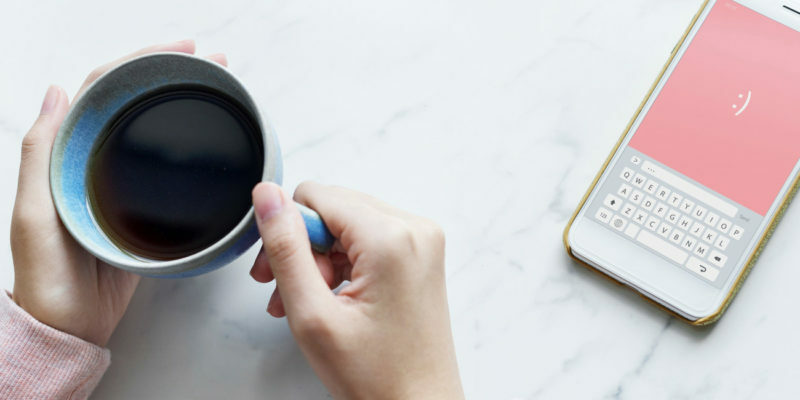 Your website and blog will be much more successful if you use them to connect and engage with your audience (rather than just trying to sell your services to them). 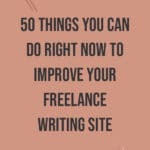 The Best Way to Improve your Freelance Writing Site? Make sure you have a built-in linking system so readers can find more of your content. There’s a rule in website design that say you want to make sure your readers can find anything on your site within just three clicks. Yep, it’s part of that whole “don’t make your readers work for it” mentality that I keep bringing up. Make sure your related blog posts point to each other. Make sure your related services all point to one another. Make sure you can get to your about page from your newsfeed and your newsletter page from your portfolio. Just make sure it all makes sense — you don’t want to start adding in so many links onto all your pages that your readers get lost!! Oh yay!! Thank you so much for the comment. I’m really glad this list is so helpful to you. Thank you, I was feeling lost with building my freelance editing site and this is giving plenty of places to start. Oh good!! I’m glad you’re able to put these tips to good use.